Samsung release dual variant in note 3 for China only. Note III Neo release in other countries too but not in India. Means Samsung will never release any dual sim in Note series in India. Ayaz, 09 Jun 2014When note 3 neo duo's will be available in India (Mumbai) I am awating for it.Which is very good Note 3 aur note 3 neo ? I am awating for it. AnonD-271442, 06 Jun 2014Does it has !!!!!!!!! Your English needs English. You should say "Does it have"we all will come to take English tuition's from you...ok?? AnonD-271442, 06 Jun 2014Does it has !!!!!!!!! Your English needs English. You should say "Does it have"Really dude!, just answer the question. No need to be disagreeable. When will this note 3 neo duos available in malaysia ? 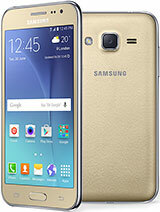 You should say "Does it have"
whaen will SAMSUNG s4 launched with dual sim. iwll buy immediately. Anonymous, 01 Jun 2014is this better than Samsung Grand 2? sure it's better it has better CPU and have a cool s-pen. It depends on your use though, what is your expectations from a cellphone? is this better than Samsung Grand 2? Anonymous, 28 May 2014the note2 2 sim that you bought is not original its pirated, samsung note2 never released a du... moreActually they did and if you do your research you'll see that the model number for this is N7102.